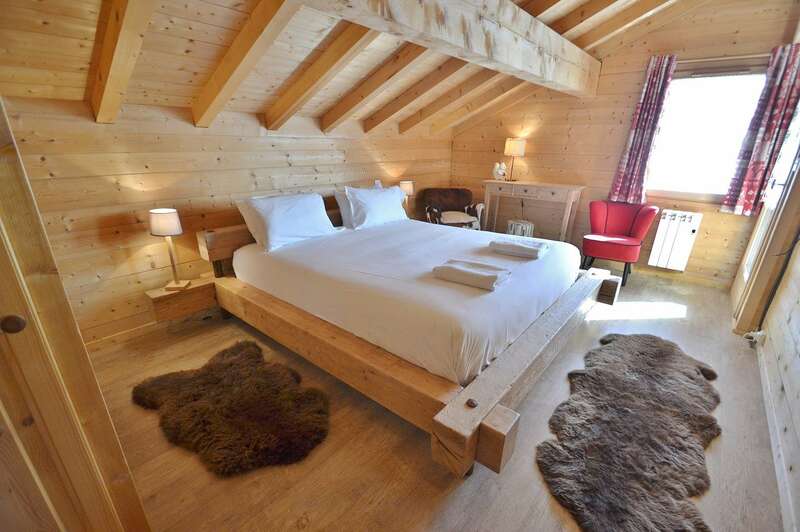 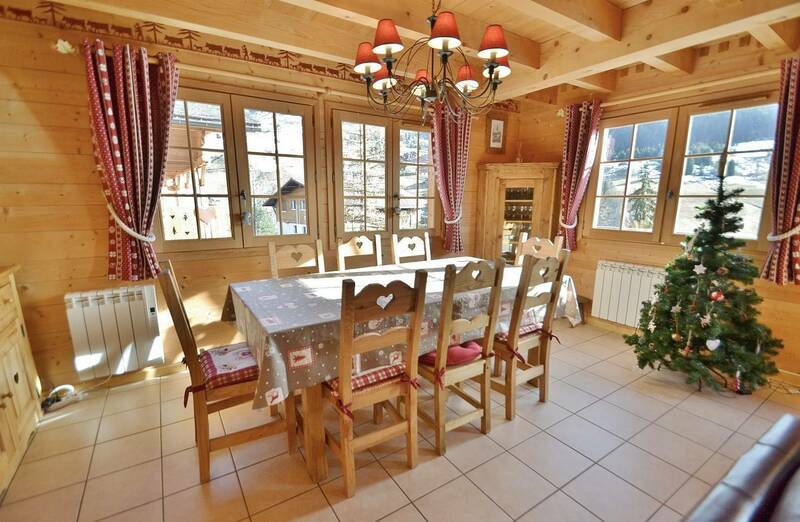 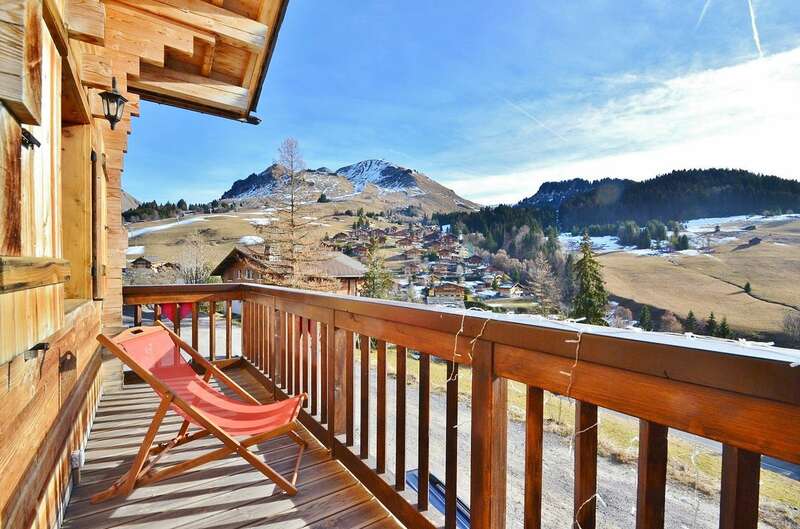 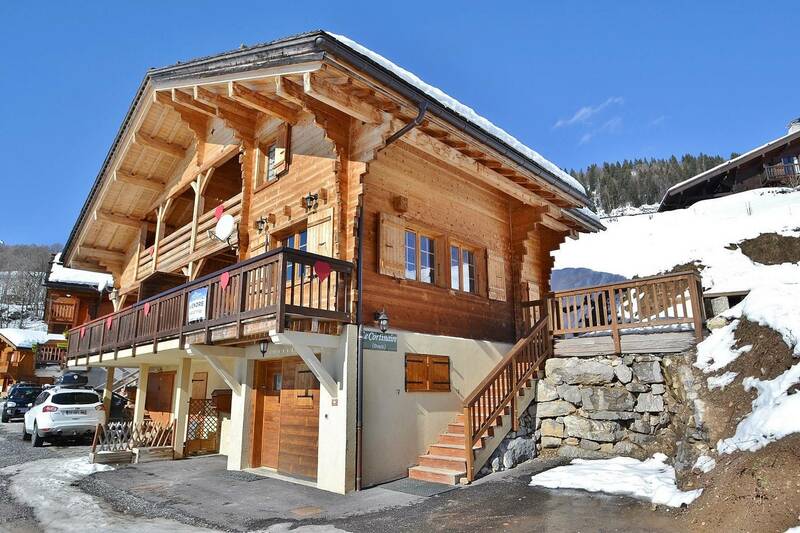 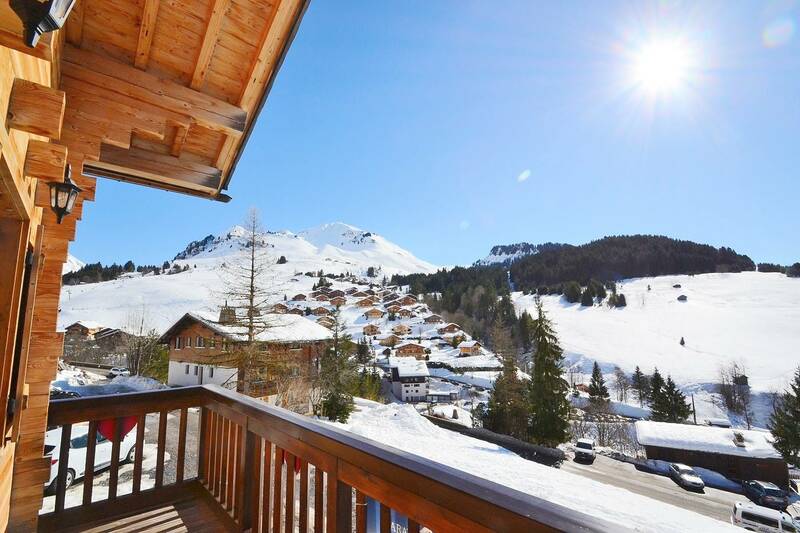 Le Cortinaire is a very spacious 4 star chalet of 114m² and can accomodate 8-9 people. 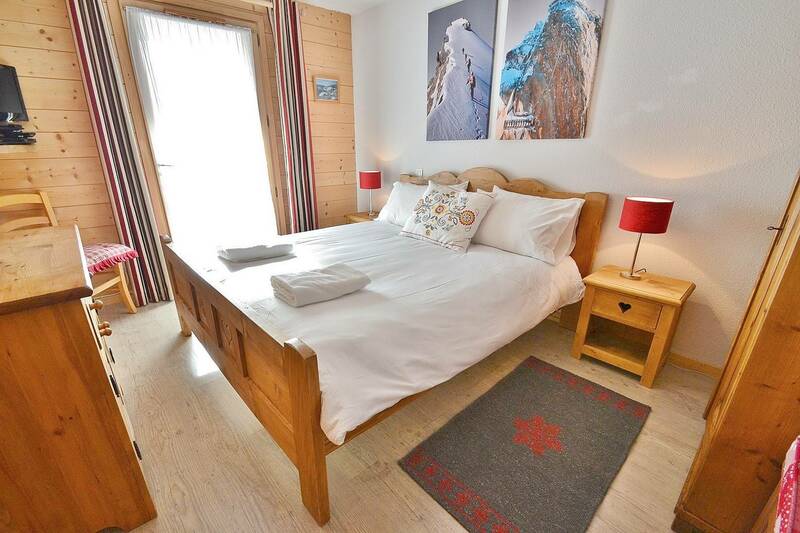 This chalet comprises 4 bedrooms, 3 of which have double beds and another one with a set of bunks + pull out mattress underneath for a 9 person. 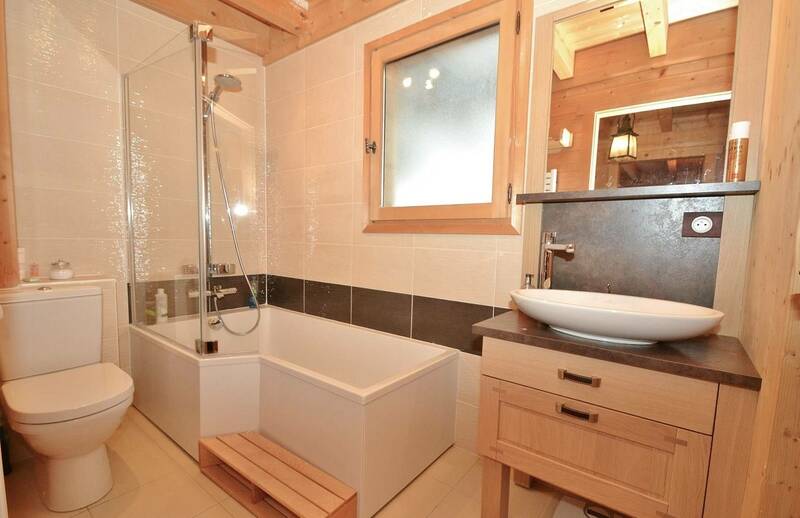 There are two bathrooms, both with washbasin and toilette, but one with a shower and the other with large bathtub. 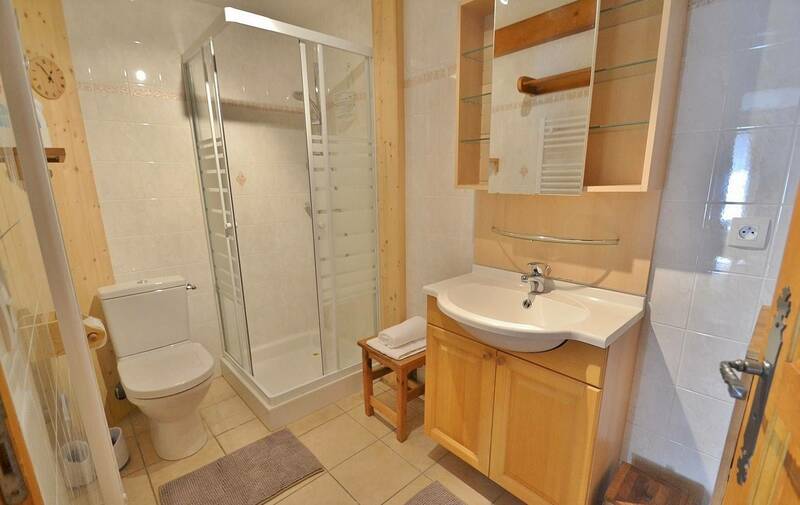 On this main floor there is also a separate toilet. 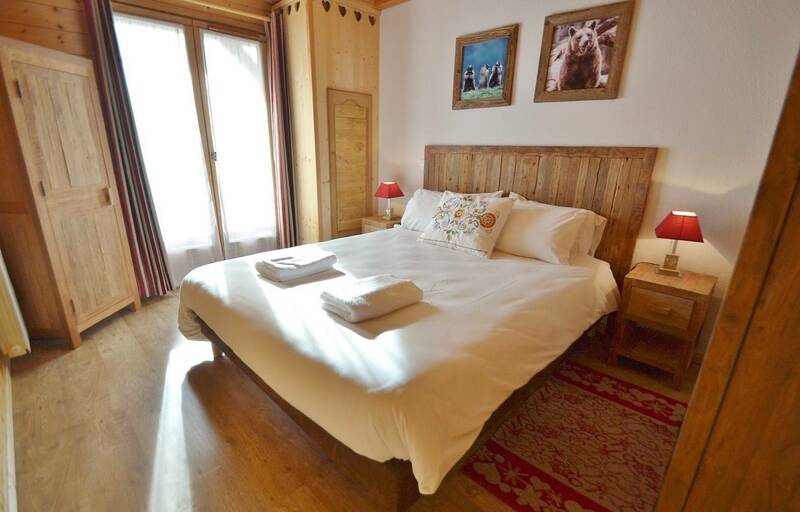 The lounge is very spacious, including the living room, dining room and a fully equipped kitchen(oven, microwave, dishwasher etc.). 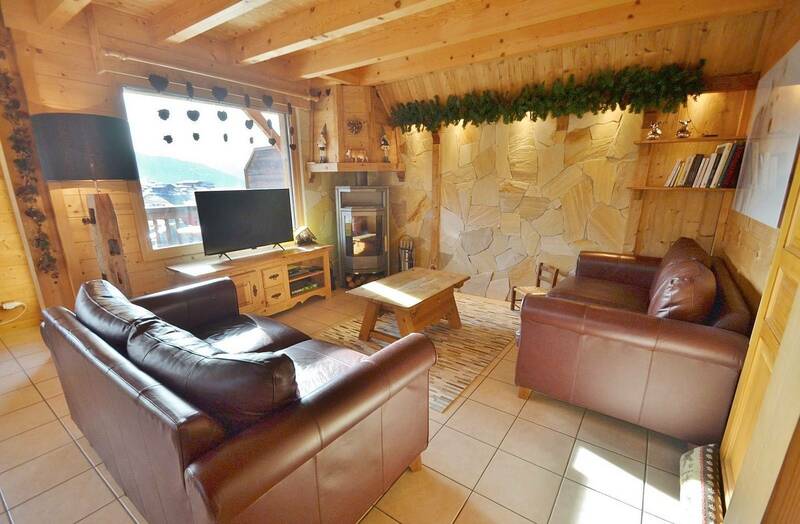 The living room is comfortable and has a woodburning stove (logs are provided) which is ideal for winter evenings! 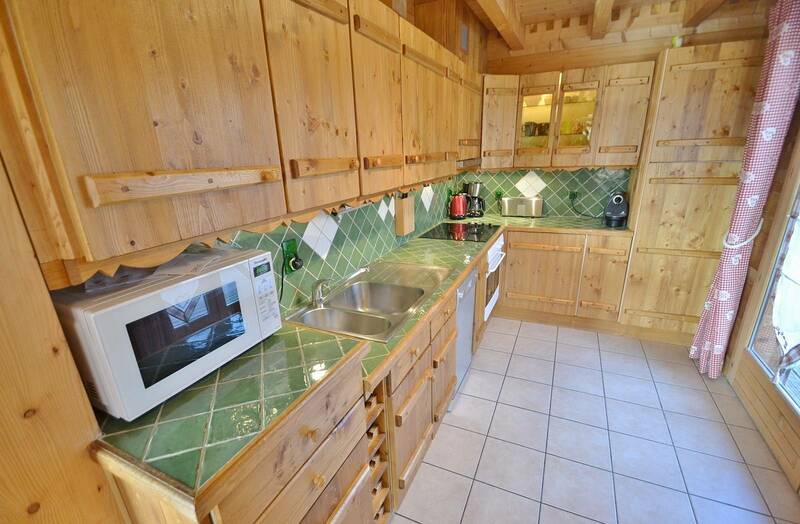 There is also a flat screen TV and a Wi-fi internet connection. 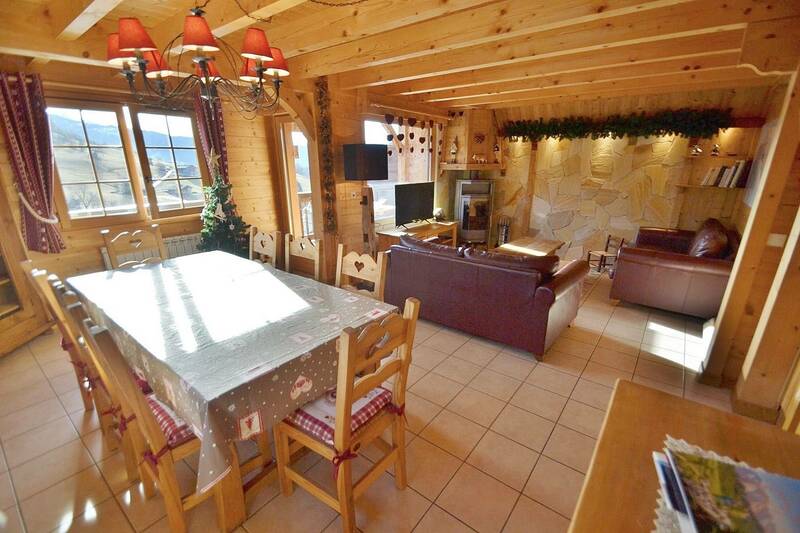 The living room has a terrace extension where you and your family can have your meal while enjoying a magnificent view over the Aravis and the slopes opposite. 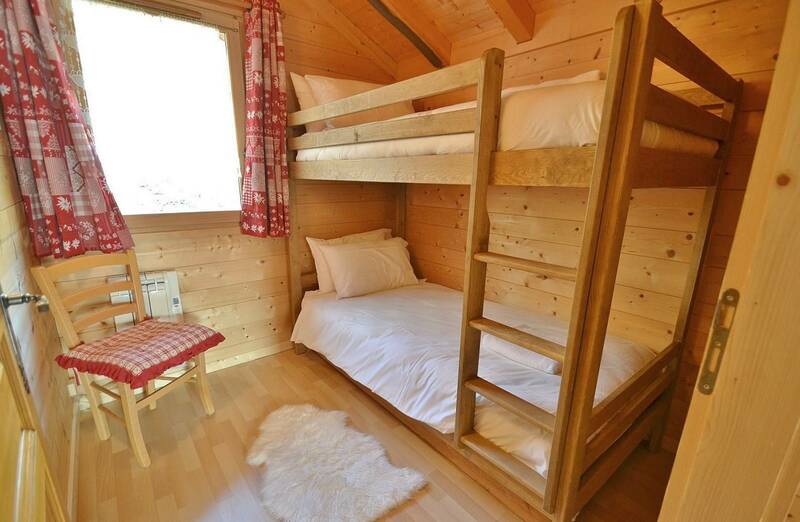 This accomodation has two parking places and a ski locker with bootwarmers. 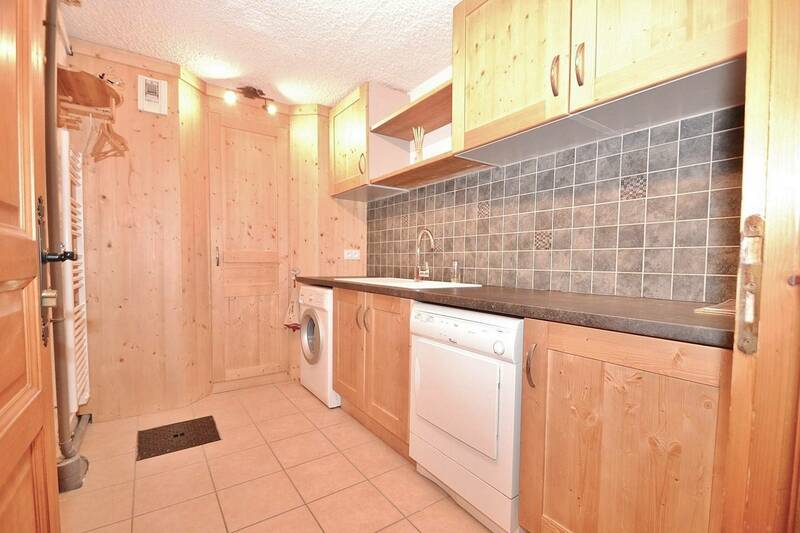 Next to it there is a laundry room with washing machine and dryer. 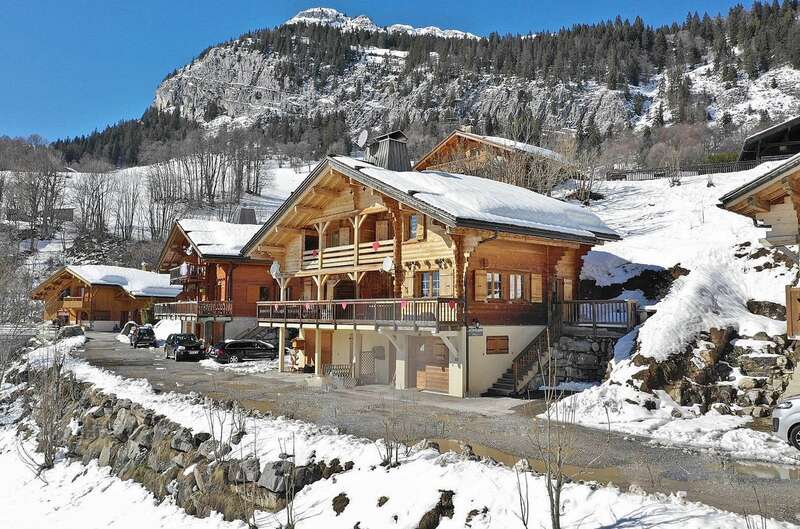 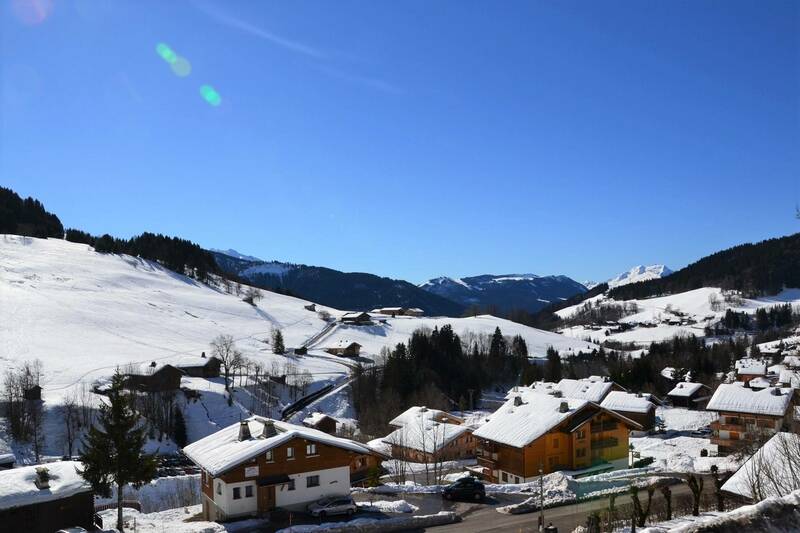 The location of the chalet is ideal, being 200m away from the bus stop which can easily get you to the village center, the ski slopes, hiking trails or to take you to Le Grand Bornand. 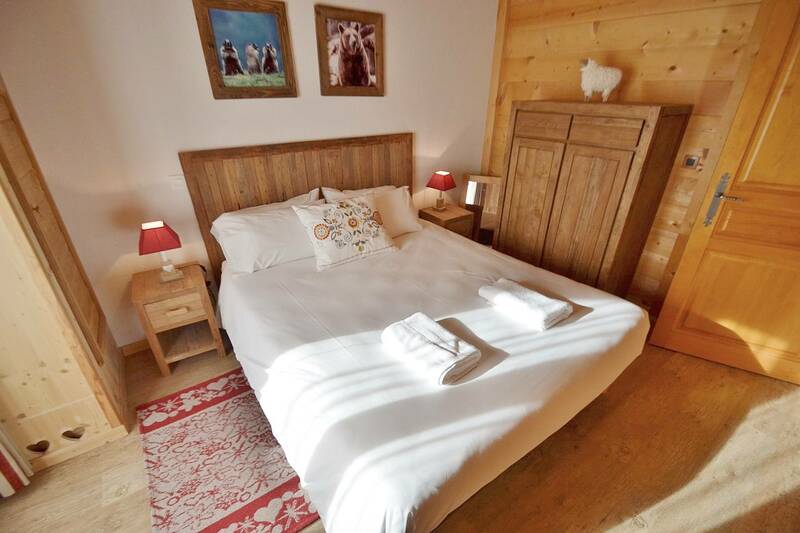 The chalet is equipped with all the necessary linen (sheets towels) and there are baby chairs and beds available on request.